When it comes to customer support, focus on the fundamentals, not the flash, to build a solid product with a loyal customer base. You’d be hard pressed to find anyone working in a web business that hasn’t heard of Zappos’ legendary customer support. They have earned an enormous, near cult-like following among customer support leaders, and this reputation has led many companies to attempt to follow in Zappos’ footsteps by delighting their customers. Sounds amazing, right? It is, but only if you’re willing to put in the effort. What is generally overlooked is that this strategy is purposefully out of reach for most businesses. 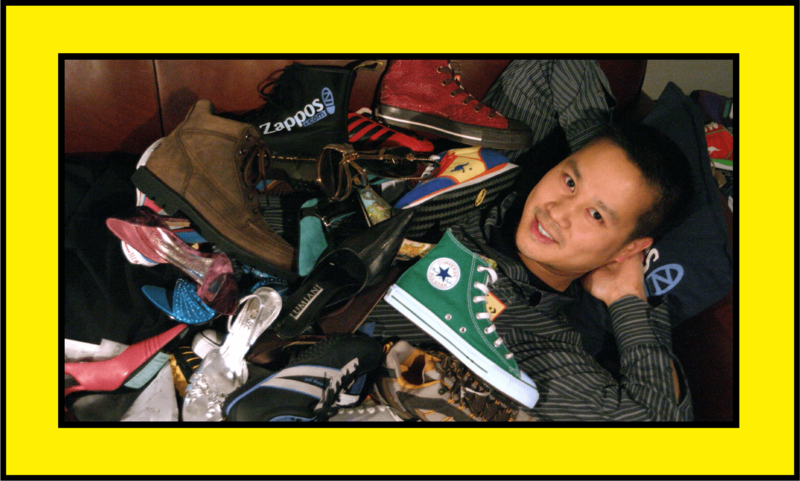 Hsieh has systematically and relentlessly built the entire Zappos culture around going “above and beyond” and it’s now a deeply ingrained part of their competitive advantage. Most businesses can’t muster the resources, the time or the stamina to adhere to the delight principles as strictly as Zappos does. Extensive research, detailed in the book The Effortless Experience, shows that striving to delight customers – by going far above and beyond – is actually more likely to do you harm than good. In the vast majority of cases customers don’t want red carpets, Dom Perignon and caviar; they just want you to fix their issue and get out of the way so that they can get on with the job they were trying to accomplish. Low effort is the real driver of customer loyalty, not exaggerated shows of affection from customer support. Your users come to your product to accomplish a specific job-to-be-done, so when something goes wrong or doesn’t make sense your goal should be to get the problem fixed or the question answered as quickly as possible and in the least number of steps possible. Your responses should be concise, and your tone should be natural, personal, helpful and conversational. Listen carefully and take full responsibility. The endgame isn’t customer delight. It’s simply empowering the customer to succeed in their job efficiently and with the smallest amount of extra mental expenditure. It turns out, one of the keys to interactions being seen as low effort is anticipation. The ability of your customer support team to get in front of customer questions; at best, offering solutions before the user knows that they have a problem and, at a bare minimum, asking the right questions to ensure the customer’s issue is well documented and clearly defined. The user feels they have been fully understood and your team has a clear line of sight on the use case that led to the user’s problem and a clear definition of a successful resolution. Large customer service operations focus heavily on first contact resolution (FCR), the idea that the first representative a customer was in contact with has fully solved their issue. While FCR is a great goal, Next Contact Avoidance (NCA) is a more subtle and far more powerful concept that you should be prioritizing. An example: a user gets in touch about your reporting feature. FCR dictates that you make sure the user knows what page the reports are generated on and how the filters work. Congrats, you have solved their issue on the first contact. NCA takes this one step further by not only answering the user’s question but understanding the logical next step for people using reports is exporting them. You suggest the user look at your docs on exporting, while explaining it can take almost an hour for very large export jobs. Not only have you solved the user’s current issue but also set them up for success in the entire job they were looking to do. Deep understanding of the jobs users are trying to get done allows you predict a user’s next steps and offer help that they didn’t even know they needed yet. Now your team is focusing on asking the right questions to define the job your customer is using your product for and anticipating customers issues. That’s good, but the most important step is to close the feedback loop. All these conversations, the combined experiences of your users, need to be harnessed in order to make your product better. The most important step is to close the feedback loop. With low effort in mind, one thing that we’ve recently become focussed on here at Intercom is eliminating “dumb contacts”. This insidious type of customer contact creates no value for anyone; the customer is annoyed at having to ask the question and your team is saddled with answering that same question from yet another user: high effort on everyone’s part. Since the lowest effort contact is one in which the user didn’t have to get in touch in the first place, reducing dumb contacts should be your first priority in lowering effort. The bonus here is, of course, that reducing dumb contacts boosts the signal to noise ratio of your customer communications, making it easier for your team to focus on providing quality feedback to your product team. Unless you’re aiming to take the customer experience crown from brands like Zappos or Ritz-Carlton, save your energy, time and money. After all, while Zappos is legendary for their customer support no one in their right mind makes a purchase from them hoping that they receive the wrong product in the mail. Instead, you should be tuning your team to provide super efficient, low effort support to your users and use every communication with customers as an opportunity to identify common confusions, consistent bugs and other valueless conversations that you can eliminate. Want to learn more about providing amazing support and customer delight? Download your copy of our latest book, Intercom on Customer Support.